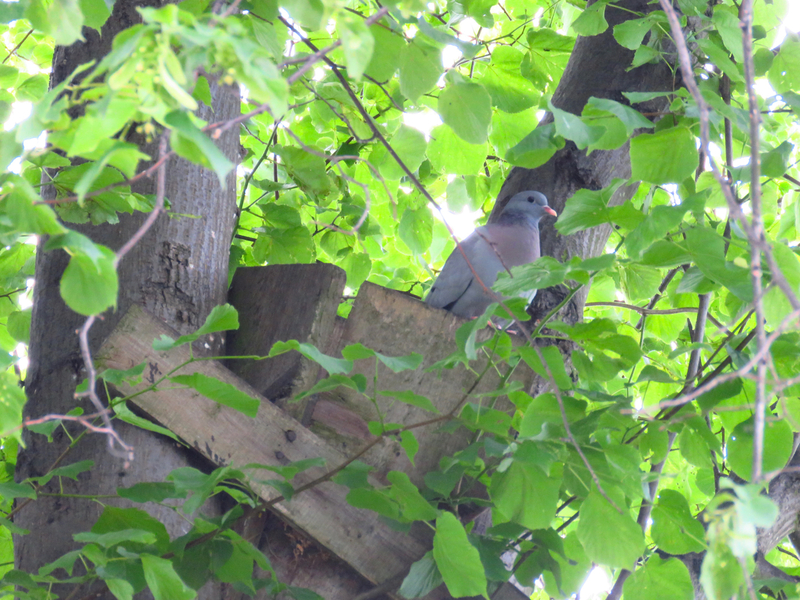 Yesterday the insistent, zebra-like call of a stock dove just outside the house called my attention. It was atop the Tawny Owl box. We've got the box occupied by the owls since the beginning of the spring, and I presume that they fledged their young earlier as they have been quiet in the last couple of weeks. It's funny that the owls took over the repaired box from Stock Doves and now the doves are back. He was there just now, calling again. The doves should have enough time to raise at least a couple of clutches. In Kensington Gardens, Stock Doves compete with Little Owls for holes, and sometimes win. I guess they are more matched for size. The battles that happen inside nest holes, unobserved, must be quite something!